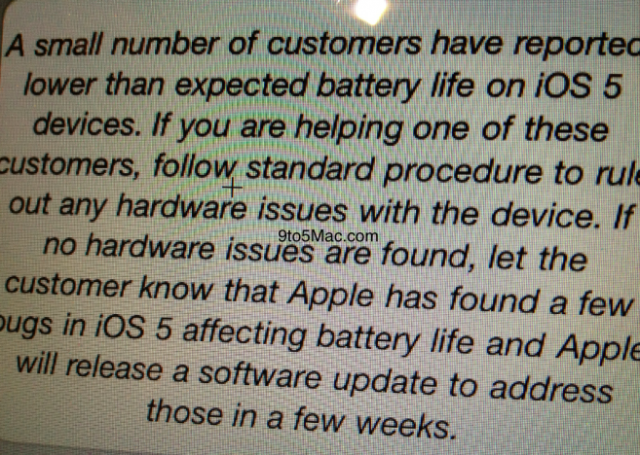 9to5Mac is reporting that Apple has invited end users to test pre-release iOS 5.0.1 software update in order to provide feedback on any battery life improvements they may experience. In addition to battery life, Apple wants select end users to test the new software against apps and also check for Siri improvements. 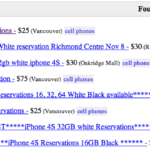 However, Apple has warned the program participants that their devices will not be able to be downgraded back to iOS 5.0. Following the release of iOS 5.0.1 to developers to test the new software against applications in addition to test for battery life and Siri improvements, Apple is now seeding iOS 5.0.1 to certain end users for testing. A small number of customers who have complained about battery life issues in iOS 5 have been seeded the bug fix release through Apple’s AppleSeed program. 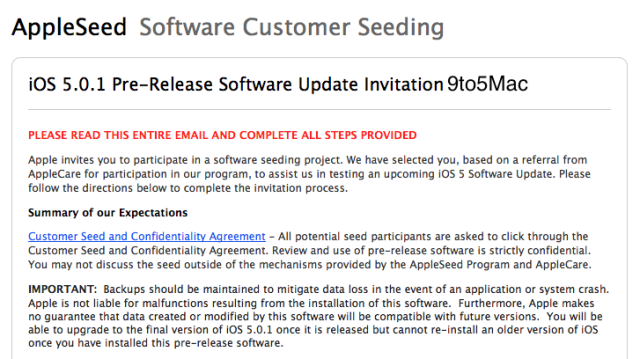 iOS 5.0.1 has already been seeded to developers while its public release is expected in the next few weeks. The update will bring Siri improvements for Australian users, multitasking gestures to the first generation iPad, and other bug fixes.